I NEED TO...provide applications to users. Use Workspaces to deliver and maintain services. Automate software deployments with Endpoint Manager. It's not a stretch to claim that many IT departments still instal new applications, upgrades, and patches by hand or rely on users to do it themselves. Such a process devours time and is prone to human error. Some machines can get overlooked or not have all of the latest patches. And if you have several technicians installing apps, it can mean having different set ups, which creates a ripple effect. When supporting those machines later on, you may spend excess time troubleshooting because you can't count on the settings being the same. See how we do it. How can any organisation of any size get by these days without an automated management tool? With solutions from Ivanti you can now accelerate how you roll out software and make it available to users. 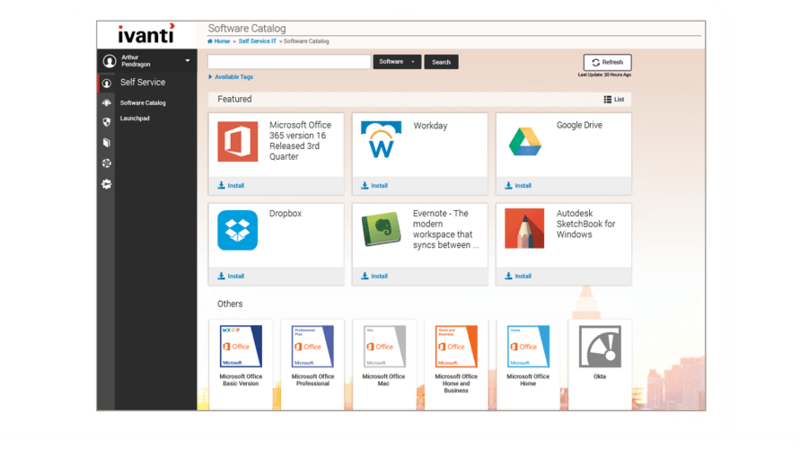 Know the software usage and pull back any unused software to reallocate. Achieve fast ROI on your software investments. Take control of applications from the moment they're installed by controlling the rights and privileges users are granted. Update how you deliver applications by providing a more modern, self-service experience. Deploy to thousands of machines running different operating systems, anytime, without consuming expensive corporate bandwidth. Employ faster methods to test and deploy. Eliminate the headaches of staging and delivering software rollout projects. Software deployment and migration projects take too long. But there's good news. With award-winning client management software from Ivanti, you can distribute software to multiple device platforms in minutes using minimal infrastructure and network traffic. Ivanti solutions provide the actions to speed software distribution projects. Each deployment phase is more automated and easier to track. When processes are more repeatable your success can be more predictable. What makes application management technologies from Ivanti truly stand out is how they help you modernise IT to fit the needs of your users. Do yourself a favour and track the software from the moment you instal it. If you need to replenish your pool of licences, set the software asset feature to reclaim any software that hasn’t been used within an IT-determined time frame. You can also exclude users you don’t want to pull from. Bundle applications, including prerequisite packages and multiple packages, in a single operation. Determine the order in which each application is deployed. Deploy packages anywhere by targeting users and distributing the software intelligently to the appropriate users’ devices in minutes. Deliver packages to Windows, Mac, iOS, Android, and Linux platforms. Patented enterprise-distribution technologies disperse large packages with minimal bandwidth and without dedicated hardware or router reconfigurations. For example, distribute a package to 10,000 users in 10 to 20 minutes by accessing packages already delivered to each subnet. Customizable configurations simplify bandwidth controls. Deliver applications to groups of users through an end-user workspace or a corporate service catalogue. It helps reduce service desk incidents, empowers users to initiate approved installations, and enables faster troubleshooting via detailed histories. Witness the progress through each project stage with a built-in Gantt chart and provide automated progress updates to stakeholders for each project. It’s perfect for maintaining software updates and patching processes for next-generation operating systems like Windows 10 and Mac OS X. New operating systems and security processes require faster methods to pilot and deploy software. 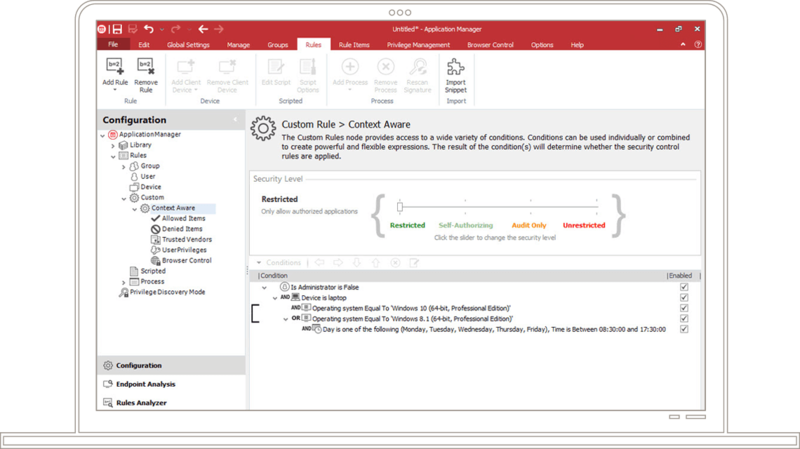 Ivanti software-deployment tools eliminate the headaches of staging and delivering software rollout projects to increasingly larger groups of people, and help streamline your interaction with change-control processes.